TaskRabbit connects consumers with skilled Taskers to handle everyday needs such as furniture assembly, moving and packing, general handyman work, and home improvements. Taskers are performing thousands of tasks every day through the platform. The company has recently expanded its presence to 40 cities in London (UK) and the United States. In November 2016, IKEA Group started a successful pilot with TaskRabbit and the IKEA stores in London to enable furniture-assembly services by Taskers to IKEA customers. 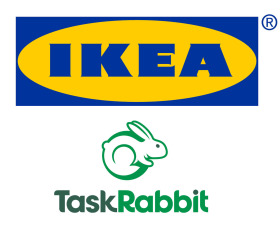 Once completed, the acquisition would enable IKEA Group to provide consumers and IKEA customers with access to the services provided by the TaskRabbit Taskers. In addition to supporting consumers and IKEA customers in the United Kingdom and the United States, other countries may be added at a later date.